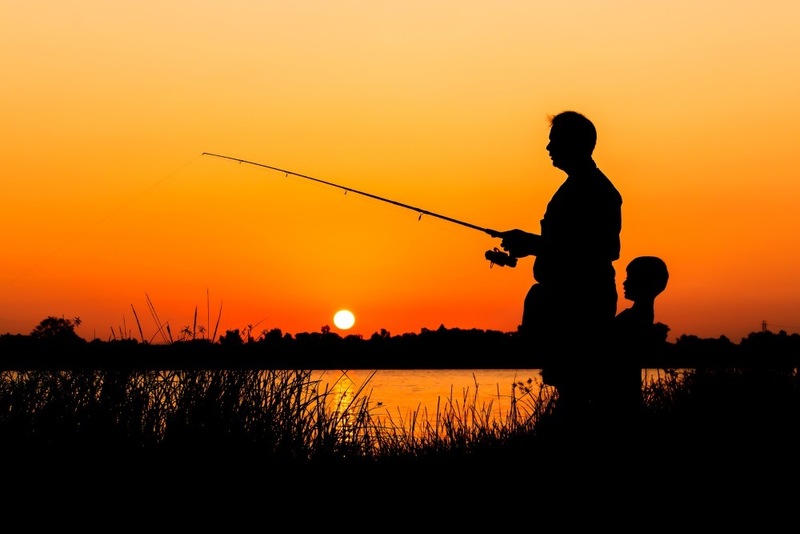 If you have gone to any large outdoor gear and sporting store, you have likely noticed that they have fishing sections bigger than the parking lot of your average store. They are home to many fishing lures, rods, tools and other accessories that you can possibly think of. With so many options available to you, it might be quite a task to pick the best one out of all of them. 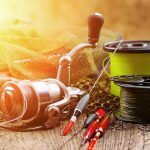 The most common dilemma that many people have when choosing a fishing rod is the baitcasting reel vs. spinning reel conundrum. They are both great and have their own advantages and disadvantages over the other. It is important to note, however, that they are certainly very distinct from each other, which is why you have to make sure that the one you get is actually the one that will boost your performance. We will take a look at their differences and see what could be the deciding factors for you before you make your purchase. Also known as baitcasters, baitcasting reels are known for being the ones used by more veteran anglers. They have a lot of control provided for the angler and a lot of accuracy as well. The way it works is that the spool will rotate as soon as you cast, so the inertia really has to be strong enough to move the spool, but not too strong that it ruins the entire cast. You really have to know the balance between both, which is why it is suggested that only the most experienced anglers start using a baitcasting reel. It is good to have a full season’s worth of practice so that you can be effective when you are using a baitcasting reel. One of the many advantages of using a baitcasting reel is the fact that it certainly has a lot more accuracy when you compare it to the spinning reel. With only hours of practice, you will be able to pull off a great attempt to place a lure exactly where you wanted it to be. This means that you will also be able to drop the lure on a dime. No longer will you have to worry about bad casts since the snag can easily be retrieved anytime you want it to be. The spinning reel is the most common fishing reel that you will see being used by anglers. 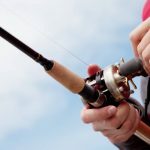 Those that go after small- to medium-sized fish are more than likely to use a spinning reel due to the convenience it brings and the usability it has especially for folks who just fish for leisure. The spinning reel has a fixed spool underneath the rod, which means that you do not have to do any kind of tweaking since the line is already drawn out with the weight of the lure, tackle or bait. Thanks to its versatility, the spinning reel is favorite among anglers. This type of fishing rod can be used in almost all situations you want whenever there is fishing involved. You can use it to cast a lot of types of tackle, which means that you can even use artificial lures if you do not want to use live bait. You only need to pull the weight of it, which is why it is a real treat to use it for light tackle and bait. There is not a lot of experience required to maneuver it properly. You just have to make sure that you know the basics and what steps you have to take when you are trying to catch a fish, and you should be good to go. As mentioned above, you have to be an experienced angler if you want to take full advantage of the baitcasting reel. If not, then you are most likely just going to throw a lot of bad lures onto the water, which might end up ruining the entire experience for you—use a spinning reel for that matter. There is nothing wrong with admitting that your skill level is not sufficient enough for the baitcasting reel. You should know though that it is quite easy to get the hang of it once you have enough experience under your belt. The payoff is great in the end as well. I fish with the Kastking Royal Legend the whole time. Great reel and my favourite by far. Cheers Joey. Yep we agree. It’s a great reel and superb value for money.